Though the speed of the proposed changes (6 weeks from consultation to 12 December) is surprising, the idea that you can modify a scheme to reduce payments in future is not in itself obviously unlawful. The problem for the Minister is that nowhere in the legislation could he find a provision which said – you can amend the rates of return for a participant after the participant has joined the scheme. On the contrary, the secondary legislation made it clear that the whole premise of the scheme was to confer on participants a fixed return. After all, they were being asked to shell out in order of £9,000 in return for some guaranteed return on their money. Some people are committed to green technologies, but many are not, and without a certain amount of financial persuasion, the latter were not going to part with their money. At one level, this decision is a micro one which is not going to keep most of us awake at night – did section 41 of the Energy Act 2008 allow such modification? No, it didn’t, said the Court. But the Court of Appeal touched on interesting general questions of retrospectivity and retroactivity. The difference? 46. Although it is weaker, there remains a presumption against the alteration of existing “vested rights”, that is, those rights which, once acquired, fairness demands should not be altered. Such rights are described by Lord Herschell in Abbott v Minister for Lands  AC 425 at 431, as those of which a beneficiary has availed himself before the law is changed. 45….. The proposed changes in respect of installations becoming eligible before the modifications come into effect do not neatly fall into either category. They are more akin to the category of prospective change. Nonetheless, anyone choosing to achieve eligibility in relation to installation between 12 December 2011 and 1 April 2012 gains a right to a fixed rate by reference to FIT Year 2 for 25 years. 48…..The proposed modification has retroactive effect. If it comes into force on 1 April 2012 it takes away that pre-existing right to 25 years of payments at 43.3p per kilowatt hour and substitutes for it a right to that sum only for a few months and thereafter at the lower rate proposed of 21p per kilowatt hour. The power asserted by the Secretary of State is a power to vary the rate after an installation has achieved eligibility and thus after the rate has been fixed for 25 years, subject only to RPI. That is a retrospective alteration of the scheme which confers what, pace Lord Rodger, may be described as a vested right to a fixed rate. So, a bit of retroactivity and retrospectivity, all complicated by the fact that the measure is only proposed to come into effect in the future – not surprising that it was difficult for anyone to analyse its precise legal effect. The Minister’s real problem, of course, was that these schemes had become too popular, the capital cost had fallen, and hence the rate of return had become too high for our careful civil servants to bear. It was not costing more per scheme than they thought it would cost, but more schemes were being proposed than the Department had bargained for, so the overall bill was higher. Some initial reflections on the judgment. The first is that you might get yourself into trouble if you propose a prospective change with retroactive effect unless your statute firmly so empowers you. No problem if you announce that from a certain date new schemes will be governed by new rules – that was plainly within the scope of the statute. But it was the mix-and-match of entitlement and retroactivity which was the stumbling block for government. The second is that the political net effect of all this is not good. The rushed-through changes to what was an enlightened – if in the end over-generous – scheme hardly encourage cautious investors to trust government departments in future. A rather unfair reading of what DECC did is that as long as the schemes were fiddling at the edges, they were happy, but once, by its success, it threatened to make a difference and cost real money, they ran scared. In fact why they sought to change the rules is plain, given that the UK now has £1 trillion of debt. But unfair impressions stick, and it is pity that this has occurred in an area where perceptions are so important. Thirdly, the interesting point in the judgment below about when you can judicially review a proposal – it disappeared as everyone sensibly wanted to get out of the Court the right answer to the unlawfulness point. In my last post I drew attention to the poor employees waiting to learn if they were being laid off as a result of this decision. Obviously, this result is good news for the companies involved and their workers. 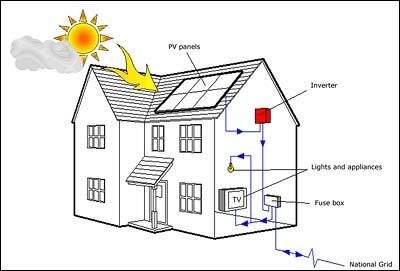 But don’t forget that the changes can and will affect anyone who signs up for a solar photovoltaic scheme after 1 April 2012, and even that assumes that DECC cannot amend the statute in the meanwhile. It might also be a lesson that state intervention into the market pursuing a hopeless cause achieves nothing other than enriching a few lawyers at the expense of everyone else. As I said before, chasing the great white whale of climate change is all very noble on the UK’s part, but will only succeed in impoverishing this country (ironically leading to agitation for relaxed environmental laws in order to boost the desperate economy) whilst the emerging giant economies cheerfully move ahead. There is no chance of solar power reducing the UK’s emissions in any meaningful sense or becoming economically viable. Never mind the painful obsession with regulatory schemes that are inevitably hopelessly vague, confused, and consequently litigation-inducing.